Estoril & Cascais awaits you. Considered by many to be the Portuguese Riviera, Estoril and Cascais are brimming with glamour and charisma. It offers a diversity of attractions and experiences along this entire beautiful coastline that we will discover. Essentially Estoril & Cascais is a destination with a life of its own, providing a range of experiences, with romantic Sintra and the capital just a short hop away. From Carcavelos beach, ideal for surfing to Guincho, a paradise for windsurfers, there are many other beaches, all different but offering a promise of pleasure. It's historical heritage, in particular the delicious and picturesque town of Cascais, is one of the great interests of the area, with important architectural and artistic works. Hell’s mouth is a curiosity. 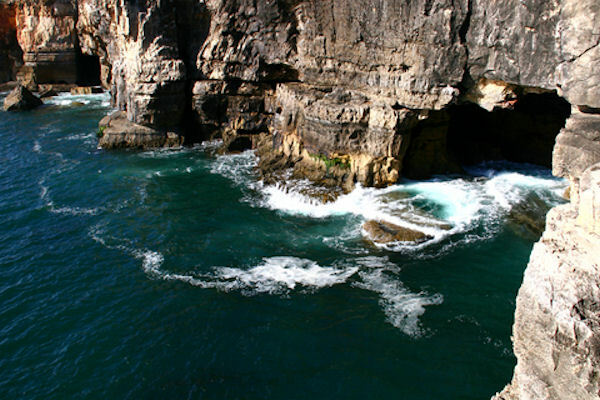 The site consists of a natural grotto created by the constant crashing of the waves against the cliff side. The sight and sound of the crashing and bubbling up of water inside this natural cavern is an awesome experience. The crashing sound of the waves resonates from within. Come with us to Cape Roca, the Western-most point of continental Europe, a stop is needed to feel all the magic around the cliffs over the Atlantic Ocean and the amazing view. The entire trip is made along the coast so that you can enjoy the sightseeing. If the weather is good we can stop for a swim. Remember to bring your camera.